Attack 1 : EAT BANANA! Flip a coin. If tails, spencer da banana eats himself. Attack 2 : SMASH BANANA! 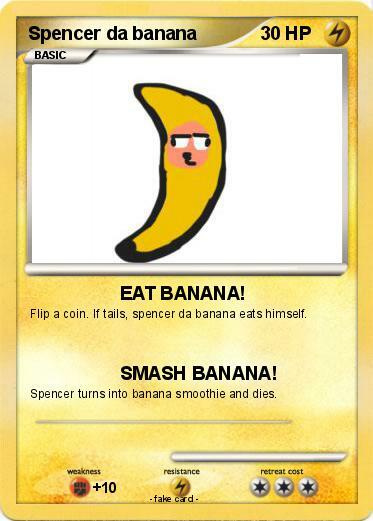 Spencer turns into banana smoothie and dies.